New Recycling Drop-Off Center in Sierra Mall – IGA parking lot. 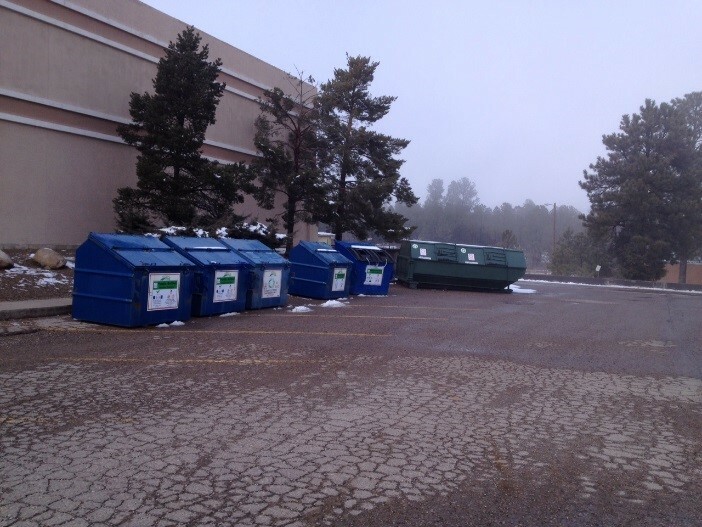 After months of planning and despite several days of new snowfall, nine new drop off recycling centers have opened for residents and tourist visitors across the Village of Ruidoso. The centers, located at nine key locations throughout the Village, take the place of previous neighborhood-based containers that were often collecting more trash than recyclable material. In addition to the nine new sites, the small collection center at Schoolhouse Park will continue to function as in the past with the SADD aluminum trailer for beverage cans and bagged pet food cans, plus a blue cardboard recycling container. The new system is the result of months of planning and organizing by VOR and GSWA staff/volunteers after concept approval in July 2014 by the Village Council. The application of new technologies including GPS mapping by EcoServants were used to identify new locations for up to six blue dumpsters per location. Following a series of planning meetings, VOR solid waste staff reconditioned, relabeled and relocated containers to the new center locations. The Village Solid Waste department continues to be busy in the changeover. 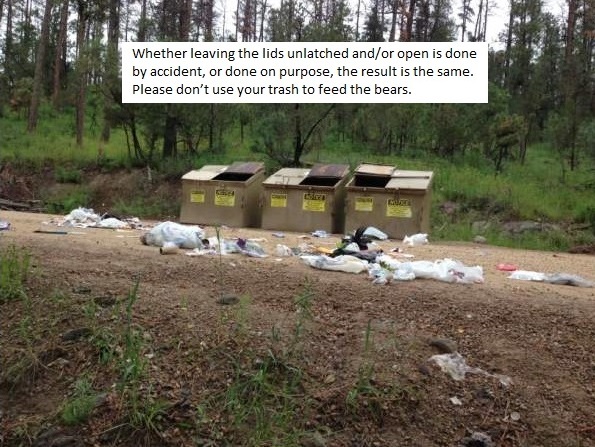 An adjusted “Bear Patrol” route schedule will have VOR solid waste staff and trucks touring the new recycling sites several times a day, seven days a week to ensure sites are being used correctly and to discourage illegal dumping. GSWA will also monitor the VOR sites using a process similar to other recycling locations out in the County. Among the materials accepted at most sites include # 1 and #2 plastic, corrugated cardboard, aluminum, steel and bagged pet food cans. Commercial accounts are now cardboard only. GSWA continues to adjust these new sites based on customer suggestions and material volumes that area already being deposited. Adjustments to one or two sites have already been made, due to increased customer demand. To see the new locations and to identify what materials can be recycled, look on-line at www.greentreeswa.org or at www.ruidoso-nm.gov. If you have questions, call 378.4697.